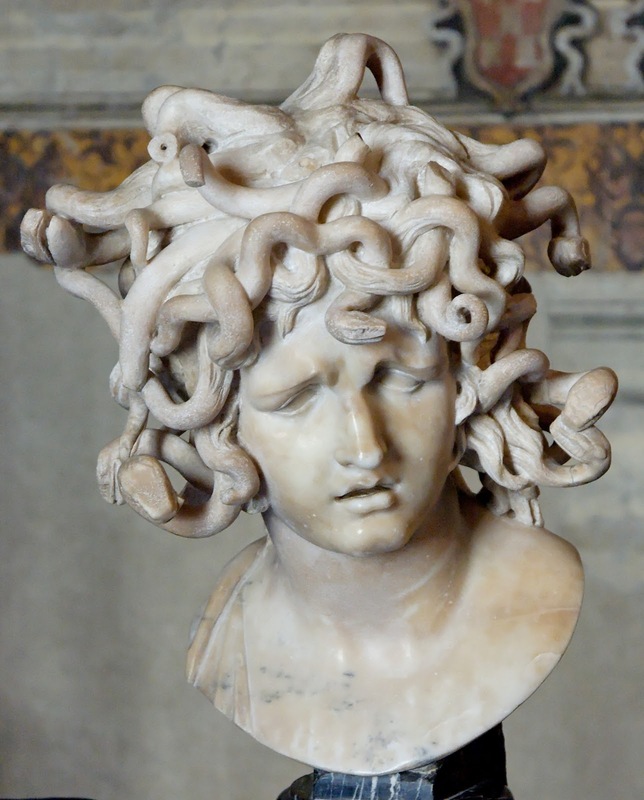 Medusa | Learn about Greek Mythology,Greek gods,Greek mythology stories! Daughter of Forks and Cetus, sister of the Gorgons Vigor and Euryale, and Graeae Dino, Enyo and Pefrido was the beginning Centaur. According to one version was a beautiful priestess of Athena, Poseidon disguised in a horse, raped her in the sanctuary of Athena. The goddess, enraged by the fact,and not being able to snap on Poseidon,so she broke up on Medusa. Transformed her into a hateful monster, which instead of hair had snakes on her head. The ugliness was so powerfull that anyone looking at her face turned to stone. Eventually killed by Perseus, with the help of Athena. The head of the infamous "Gorgoneion" was received by the goddess which she affixed to the shield, because her head even dead,could turne to stone anyone who looked at it.